Have you ever looked around a room and thought, “She’s amazing. Look at how she lights up the room. Look at how people are drawn to her. Look at how people respect her. I wish I could be like that.” There is one small secret to walking into a room and immediately catching people’s attention…….CONFIDENCE. People are ATTRACTED to confidence. People want to be surrounded by confident people. People want to build businesses with confident people. Have you ever struggled with doubt or fear? Have you ever expected confidence to show up in your life, but it stood you up? Have you ever stopped to think about what fear and doubt are robbing from you? Becky wants to help you start off 2014 BOLDLY with brand-new confidence in yourself, abilities, gifts, and talents. You have greatness inside of you that the world is waiting for. You have gifts and abilities that will mesmerize people when you walk into a room. 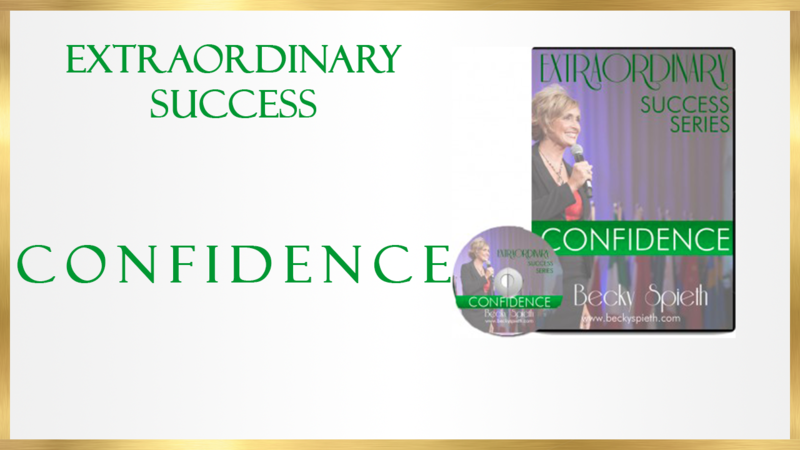 Step-by-step, Becky will guide you through ending the fears and insecurities that rob you of your greatness and prepare you to begin living a life fill of magnetic confidence.